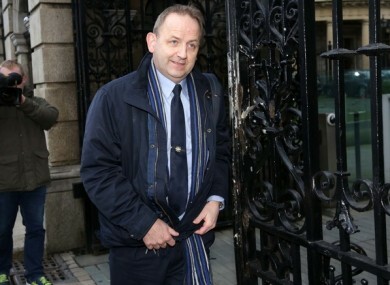 GARDA WHISTLEBLOWER Maurice McCabe and his family have initiated legal proceedings against the HSE and Tusla to seek damages over the false sexual abuse allegations made against him. McCabe, his wife and four children are believed to have filed claims against the State agencies in relation to the creation of the file which contained false allegations of sexual abuse. High Court proceedings were initiated by the McCabes on Wednesday. When news surrounding the false allegations surfaced last month, the HSE said that the issue related to an “administrative error”. Reacting to this, the McCabes responded with statement of their own rejecting the apology. The McCabes said that the HSE’s assertion was at odds with information released to them under the Freedom of Information from Tusla. The Child and Family Agency Tusla blamed the creation of the file on McCabe on a “copy and paste error”. This claim, however, was put in doubt after a source close to the organisation was cited by RTÉ’s Prime Time as saying that the allegation was included in a Tusla file because a caseworker failed to delete information from an old case. Tusla also issued an apology to McCabe, although it was claimed that it was originally delivered to the wrong address. Earlier this week, the judge presiding over the new Disclosures Tribunal said that any lie told to the inquiry will be a ‘waste of what ordinary men and women have paid for’. Anyone wishing to make statements to the Tribunal should submit them by close of business on 13 March 2017, and further information can be found on the Tribunal’s website here. Email “Maurice McCabe files suit against HSE, Tusla over false sexual abuse claim”. Feedback on “Maurice McCabe files suit against HSE, Tusla over false sexual abuse claim”.